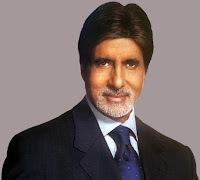 Dubai: Bollywood megastar Amitabh Bachchan will be honoured with the Lifetime Achievement Award at this year's Dubai International Film Festival next week. The 67-year-old actor will be felicitated at the opening night of the festival on December 9 for his outstanding contribution to cinema. Ranbir Kapoor starrer 'Rocket Singh-Salesman of the Year' will also have its world premier at the festival. Directed by 'Chak De! India' fame Shimit Amin, the film is about Harpreet Singh Bedi, a fresh graduate with low marks but high dreams of having a successful career in sales. Rob Marshall's 'Nine', an adaptation of the popular stage play will open the 6th edition of the week-long festival. The film, which boasts of a star studded-cast Daniel Day Lewis, Nicole Kidman, Penelope Cruz, Marion Cotillard, Judi Dench, Kate Hudson and Sophia Loren, depicts the midlife crisis of a director struggling with creativity which leads him into a series of complicated romantic entanglements- including his wife, his mistress and his muse. Joining the opening film will be the world premiere of 'City of Life', the first multilingual Emirati film by Ali F Mostafa. Oscar-winning filmmaker James Cameron's much awaited film 'Avatar' will mark the finale to this year's festival. The film, starring Sam Worthington, Zoe Saldana, Sigourney Weaver, Stephen Lang and Michelle Rodriguez shows a world beyond imagination, where a reluctant hero embarks on an epic adventure of fighting to save the alien world he has learned to call home.